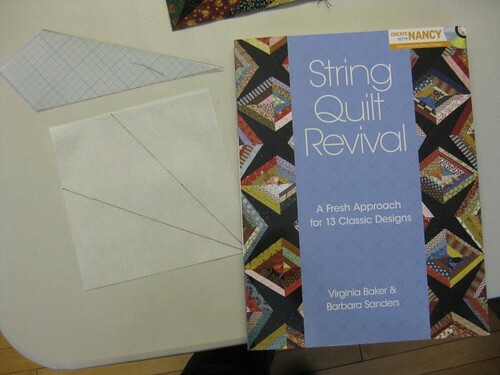 My current big project is from “String Quilt Revival” by Virginia Baker and Barbara Sanders. 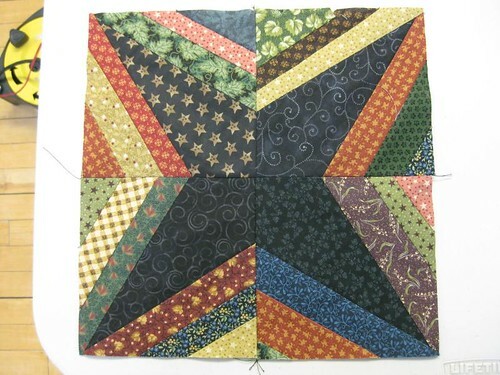 String quilting is an old technique where strips of fabric are sewn to a fabric foundation. 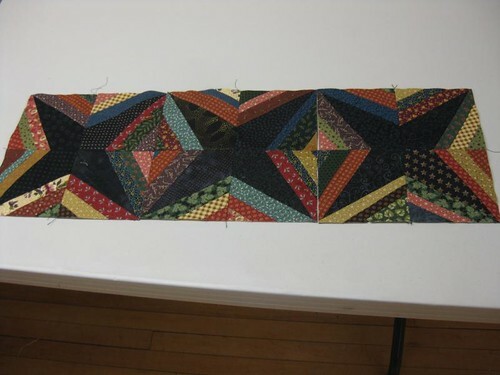 After enough strips are sewn to cover the block, the block is trimmed to some uniform size. In less affluent times, these strips of fabric were leftovers from other sewing projects or even harvested from used clothing. Now, of course, we have lots of fabric. For example, I have an entire drawer full of Thimbleberries fabric to use for this project. Instead of muslin as a base foundation, we can use ultra thin stabilizer. Here is the first block I completed. And the first three. Just these would make a lovely table runner with a nice little border added. But, oh no, I have to make a quilt with 88 blocks. Here are the first three rows of blocks. Only five more rows to go! Wish me luck. 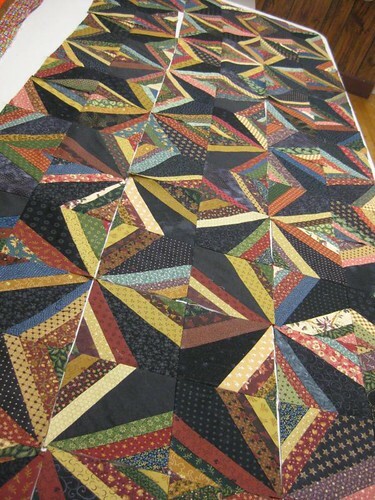 This entry was posted in Quilting, String Quilt I. Bookmark the permalink. Good luck ! ! ! ! ! and some for me too since you convinced me to join this craziness too. I really need another project ?????? Looking great so far. Really like the colors you used. I have the book and sewed the blocks with cream where you put blacks. Just needs quilting now. I would like to make another like yours.